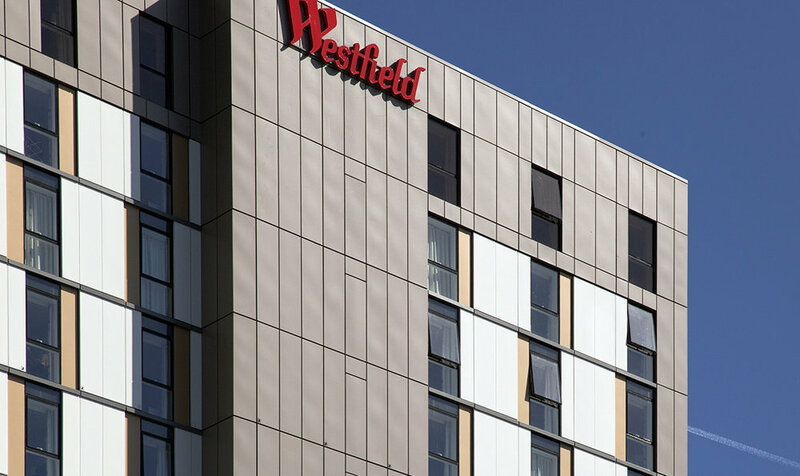 HKR Architects designed two combined hotels in the Westfield Stratford City Masterplan, part of the Olympic Park Development ahead of the 2012 London Olympic Games. The M8 hotel development consists of two combined hotel operators, a Holiday Inn and Staybridge Suites, provided over 11 levels, on two levels of a retail podium. There are a total of 350 bedrooms, split into 188 Holiday Inn Rooms and 162 Staybridge Suite rooms. Both operators are in the brand stable, of the Intercontinental Hotel Group. Given the extremely compressed programme and requirements to achieve delivery of the building ahead of the Olympics - and the opening of the new Stratford City in 2011 by Queen Elizabeth II - a volumetric pod solution was developed by HKR Architects and the pod contractor. This allowed the contractor the option for the majority of the building to be assembled off site, for final assembly on site on a much reduced programme.